In recent years there has been massively increased demand for the services of the private security industry, which has now assumed a far greater role in policing areas that were once the sphere of the police --for example, shopping malls, leisure parks and transportation terminals. 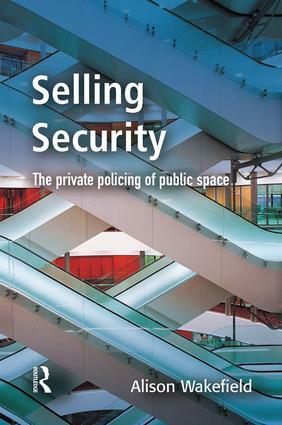 This book provides a detailed account of the developments in urban planning, public policy and the commercial world which have promoted the development of private security, and provides a unique examination of security teams in operation in three very different environments --a shopping mall, a retail and leisure complex, and an arts centre. The study is set within a broader context that considers changes in retail and leisure patterns that have promoted the development of large, multi-purpose developments, shifts in town centre planning to create more secure high street retail and leisure facilities, and the promotion of CCTV and security patrols. Finally, the book considers the ethical issues that arise with the massively increased use of private security, and the broader policy issues which arise.